All Servers will be under maintenance at 16:00 PM GMT+8, 09:00 AM GMT, 04:00 AM EST, 01:00 AM PST on July 6th. 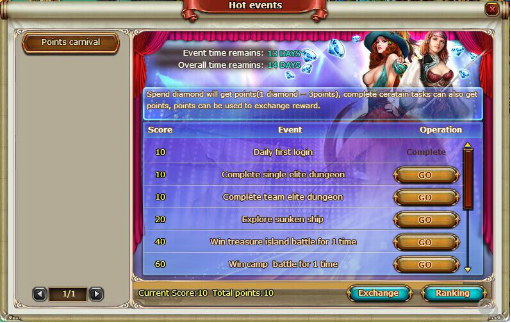 1.Point carnival event is online from July 6th to July 18th. Claim reward time is July 19th. 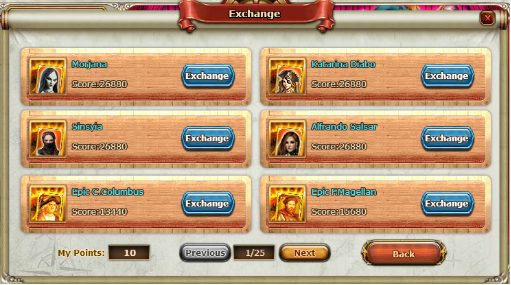 A.During the event, players can obtain score by join various game event. 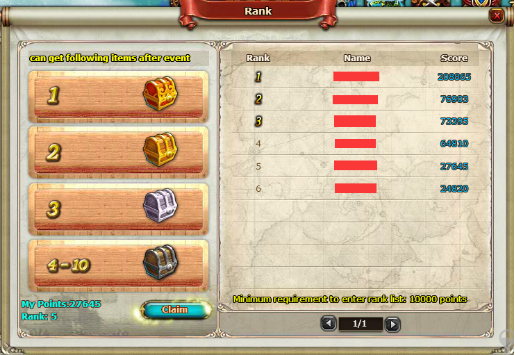 Besides, you also will get 3 scores when every 1 diamond you spend. 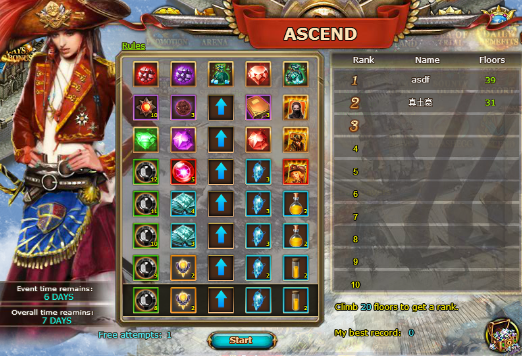 2.Ascend event is online from July 6th to July 12th. Claim reward time is July 13rd. 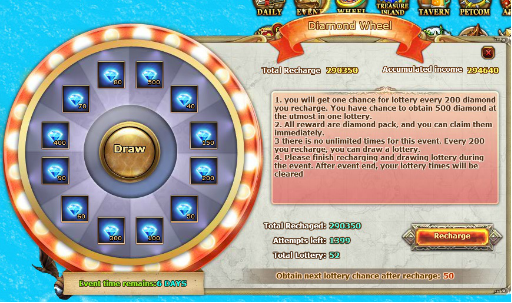 3.Diamond wheel event is online from July 6th to July 12th. 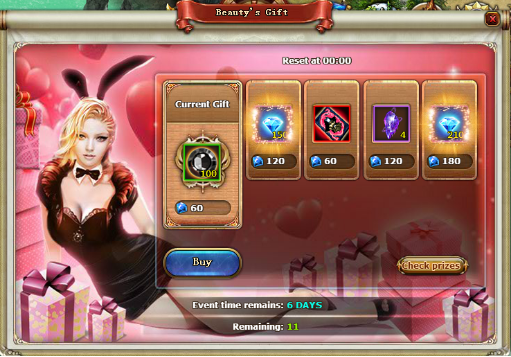 4.Beauty's Gift event is online from July 6th to July 12th.